It’s time to STOP being vulnerable to the Wet Kitten! This guy is sucking the life out of you! These losers kill your self-esteem with their lack of confidence! If this sounds like the type of guy you have been dating, then we have some work to do! You are drawing in losers insted of winners. Wet kittens instead of lions! You are an intelligent woman and you are too good for this type of guy! 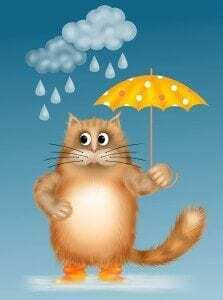 It’s time to set that kitten back out in the rain and set your sights on a high value man! How? Follow my steps below! In order to understand why you keep taking in these losers, you need to gain a better understanding of yourself. My book, To Date a Man, You Must Understand Yourself is specifically written for this purpose! In this book, you will read of two different young women, both on different life pathways, one drawing in high value men, one drawing in wet kittens. To read more details about To Date a Man, You Must Understand Yourself, click here. Buy To Date a Man You Must Understand Yourself Now! Once you have completed the book, you’re ready to move on to building your confidence!